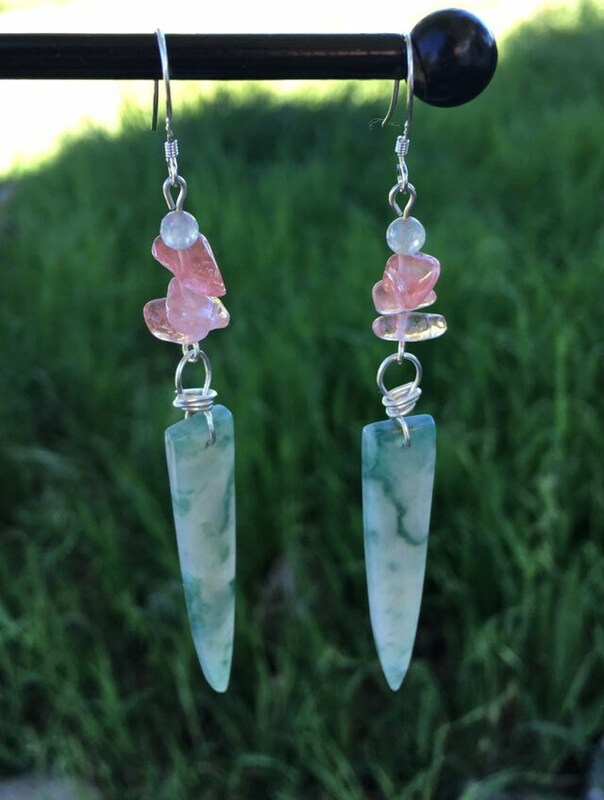 These beautiful and unique green mountain jade earrings are a soft shades of green with lovely patterns. 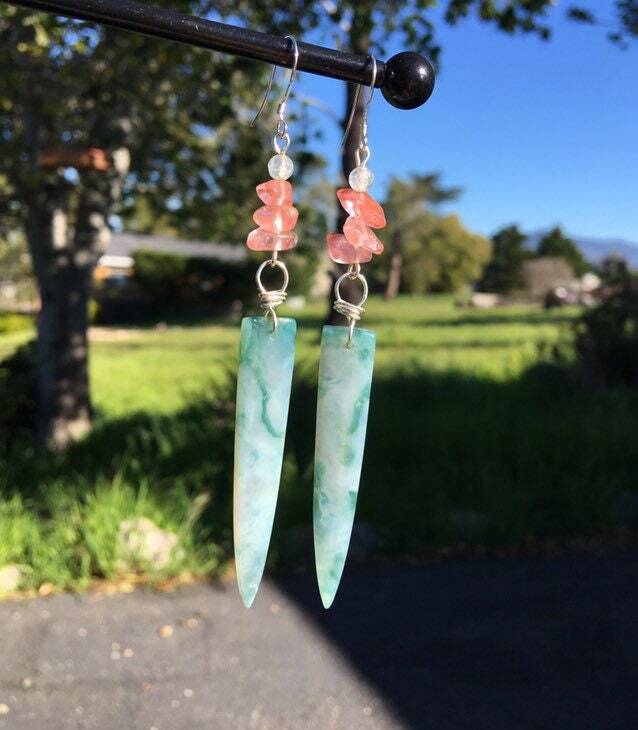 They are paired with cherry quartz and quartz beads. 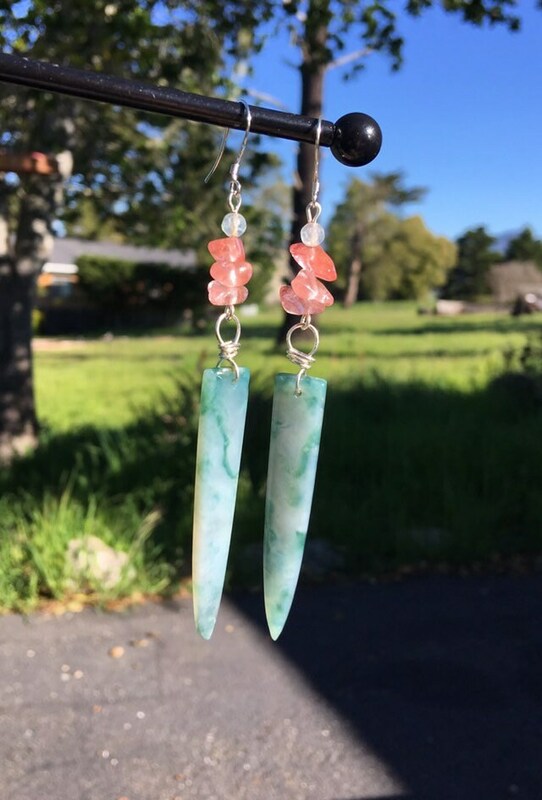 These are 3 1/4” long.